This house is located at Snows Court at 25th Street NW. 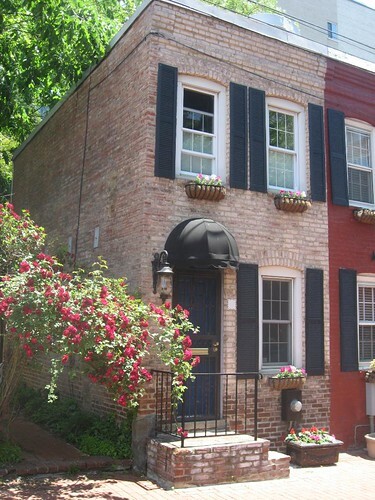 “Nestled into a quiet old-world court in the middle of the city, this cute small house is an easy walk to the main State Department offices, GWU, IMF / World Bank, Trader Joe’s, The Kennedy Center, several restaurants, coffee shops, and convenience stores, and walking distance to Georgetown, the Mall, and more. Street parking is readily available, and many nearby garages offer monthly rates. This house is ideal for those in town for a few weeks or months on business who are in need of a pet-friendly furnished place. 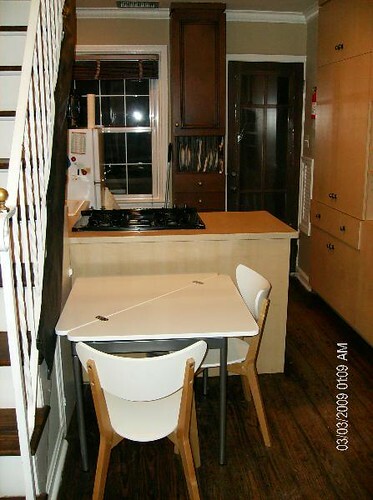 Do you think $2950 sounds reasonable for this unusual 1 bedroom?